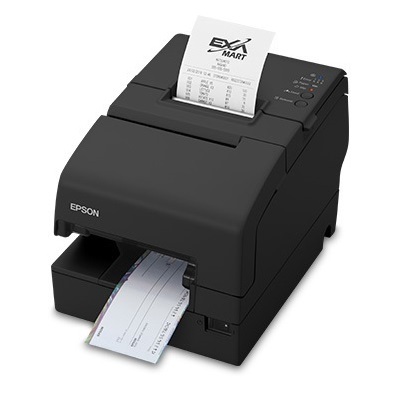 Taking the POS multifunction printer into the new age of retail was a simple endeavor for Epson. 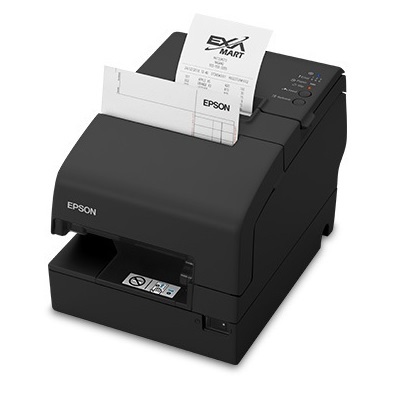 They´ve outfitted this printer capable of receipt printing, check processing, and slip printing, and given it the versatile edge of connectivity with Web-based applications and proximity mobile device printing. Now you can send your print jobs, sales receipts or whatever is needed from a local computer, website, or nearby smartphone, making this the perfect all-you-need printer for mobile banking, retail, or online order processing. 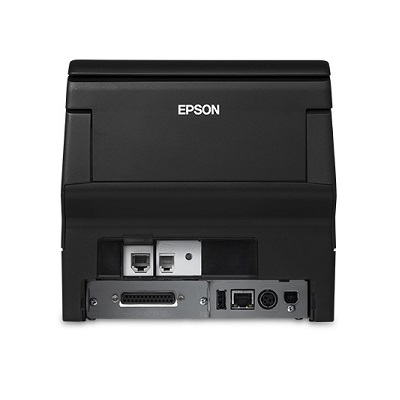 The standard "Big Three" connections allow you to use this with older and legacy POS systems as well, giving you Serial, USB, and Ethernet ports standard, with Parallel, Bluetooth, and WiFi versions also available. 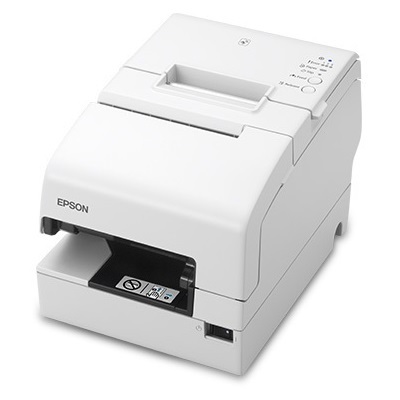 The next generation of the TM-H6000 Multifunction printers in here with the <b>OmniLink TM-H6000V!</b>The same speed, multifunction support, and longevity you have come to expect from both Epson and the H6000 family of printers continues with this newest addition to the collection, and expands its functionality with new features for our ever-changing mobile based work platforms.